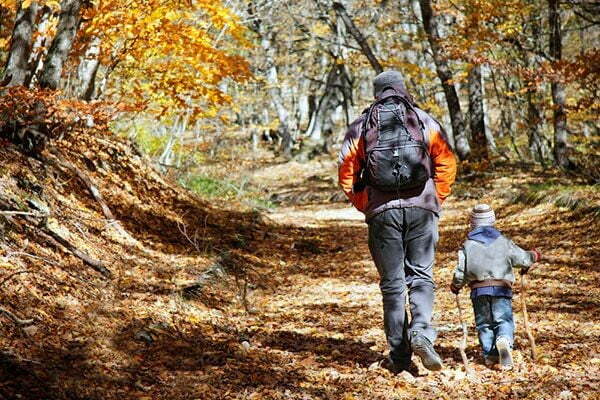 5 REASONS WHY YOU SHOULD GET OUT AND HIKE! Fully extending and flexing the muscles will help keep your joints limber and your leg and core muscles strong. It’s just like walking, but like better…. Depending on the difficulty of the hike, you won’t need much more than walking shoes and water. No need for fancy yoga pants or expensive machines, all you need is a positive attitude. You can make a hike as challenging as you’d like. Charge up a hill or take your time. This is what makes hikes family friendly (or hangover friendly). Find peace and quiet in the outdoors. Relax in the breeze, the beautiful views and waterfalls. Let your mind be at ease and let all your worries float away even if just for a moment, take that moment for yourself and only once you’ve done that should you take a photo to share that moment with all of your facebook friends; because if you didn’t post a pic, did ever really even happen? just kidding… kind of. The benefits of hiking are endless. Go ahead, turn off the cell phone, park the car, and take a hike. And begin your healthy lifestyle - today! All rights reserved. No part of this website or any written / recorded materials may be reproduced, distributed, or transmitted in any form or by any means, including photocopying, recording, or other electronic or mechanical methods, without the prior written permission of the publisher, noncommercial uses permitted by copyright law.